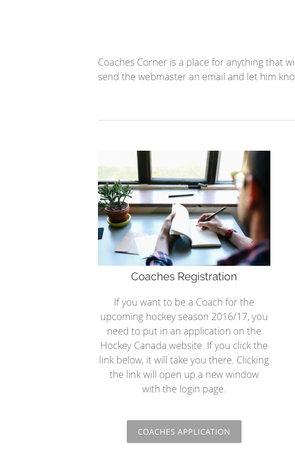 Click the link "Coaches Application"
Log in to your Hockey Canada Account. You will be taken to your account. 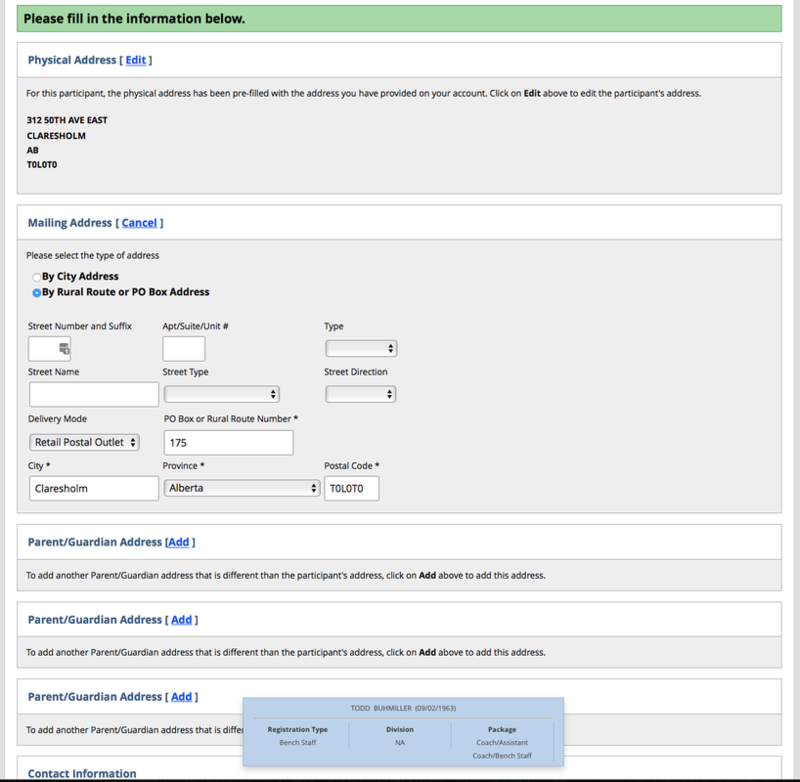 If you look in your registration history, you will see your kid(s) that you have already registered. You should not see your name at all, until the process is finished. 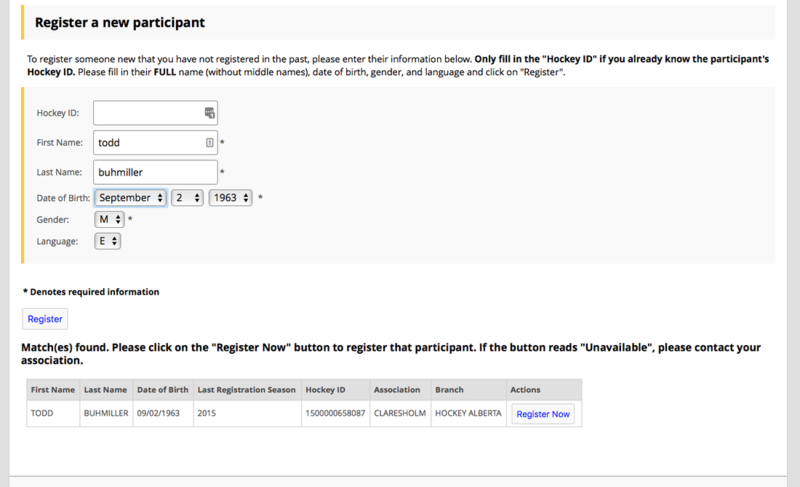 Click on the "Register a Participant" Button. 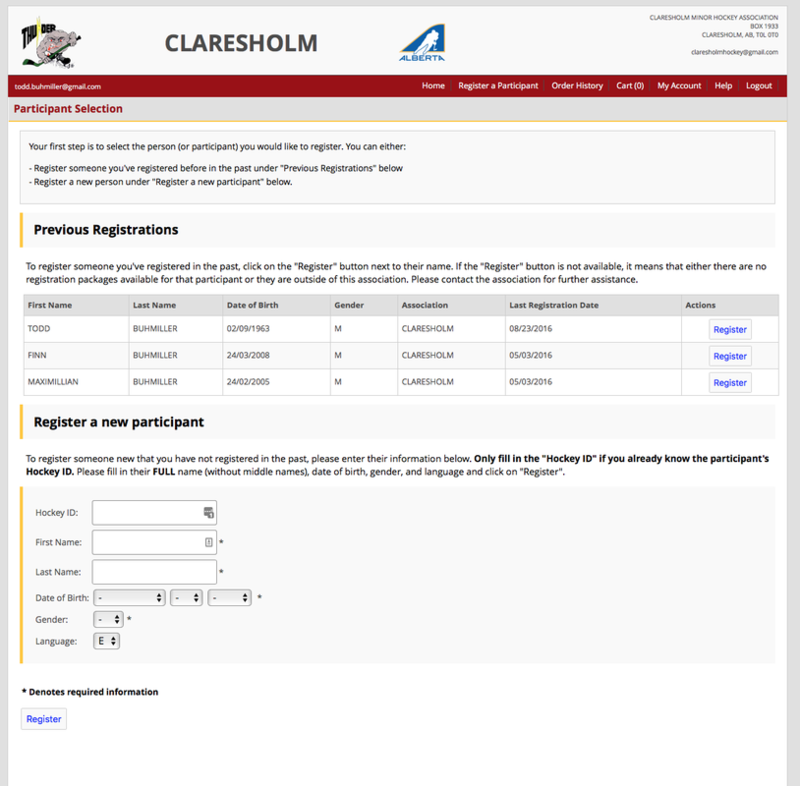 Fill out your name and information in the "Register a new participant". 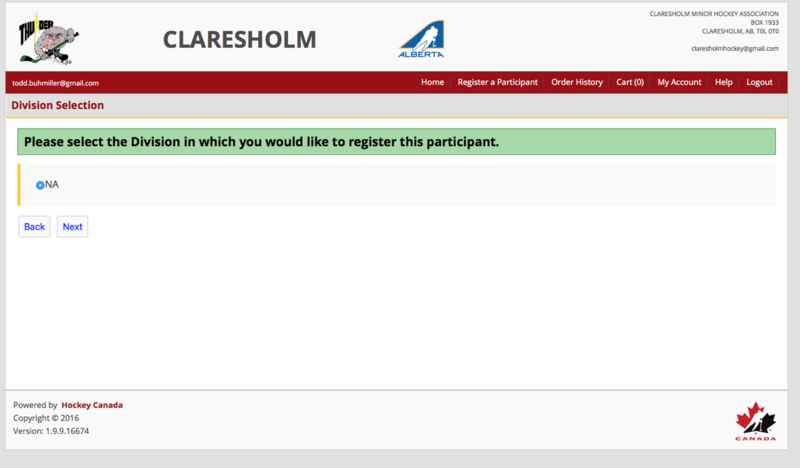 When you are finished, click "Register"
It will find your name, now click on the "Register Now" button. Next select division. If you only have one choice, select it. Press Next. 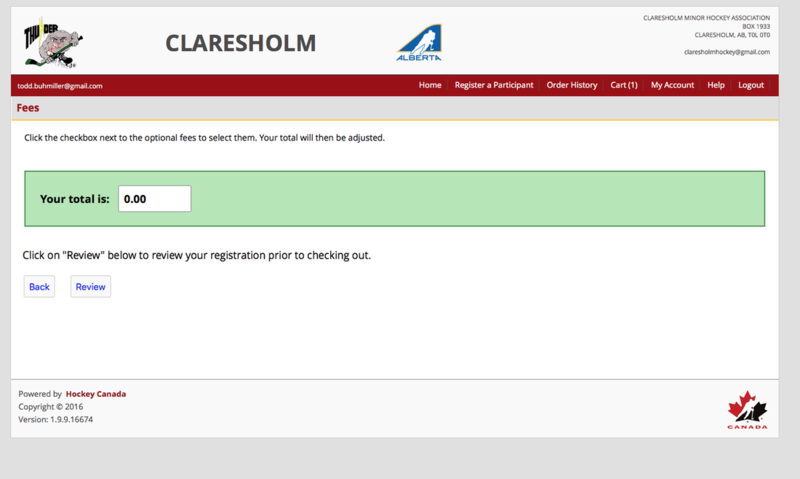 Now choose the registration package, there should only be one. 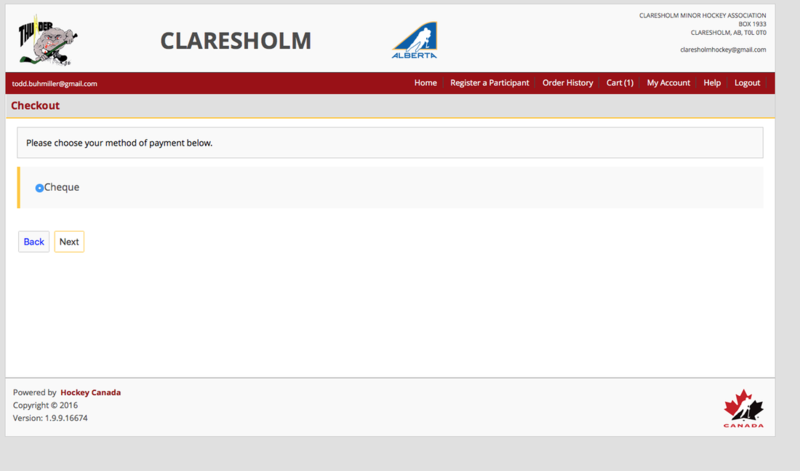 Press select and then you should see a next button. Press next and you will go to the next screen. 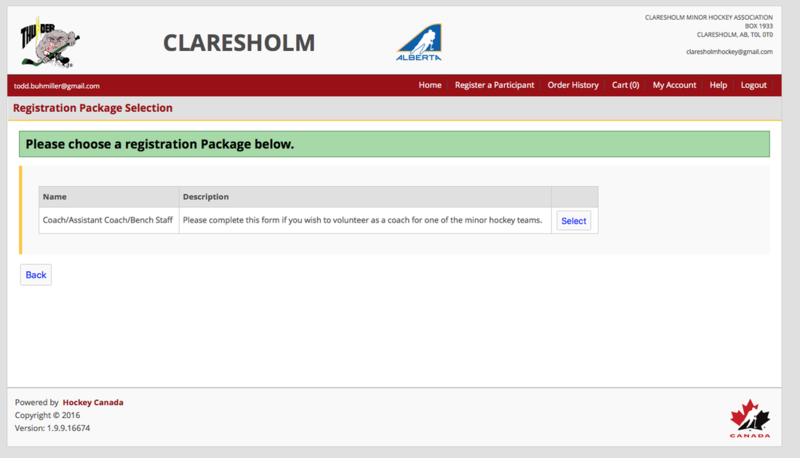 Here you fill out the information that they need. It might be different for each coach, only you will be able to determine that. 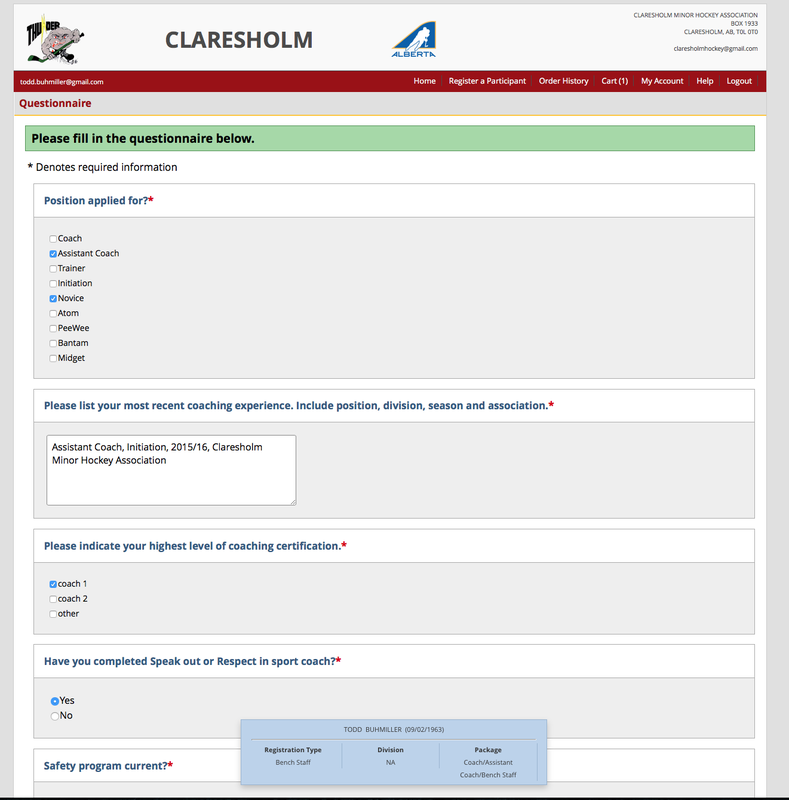 Fill out the questionnaire. Then hit next. Then read and agree to the waivers..Hit next. Next screen are the fees. Press the "Review" button. 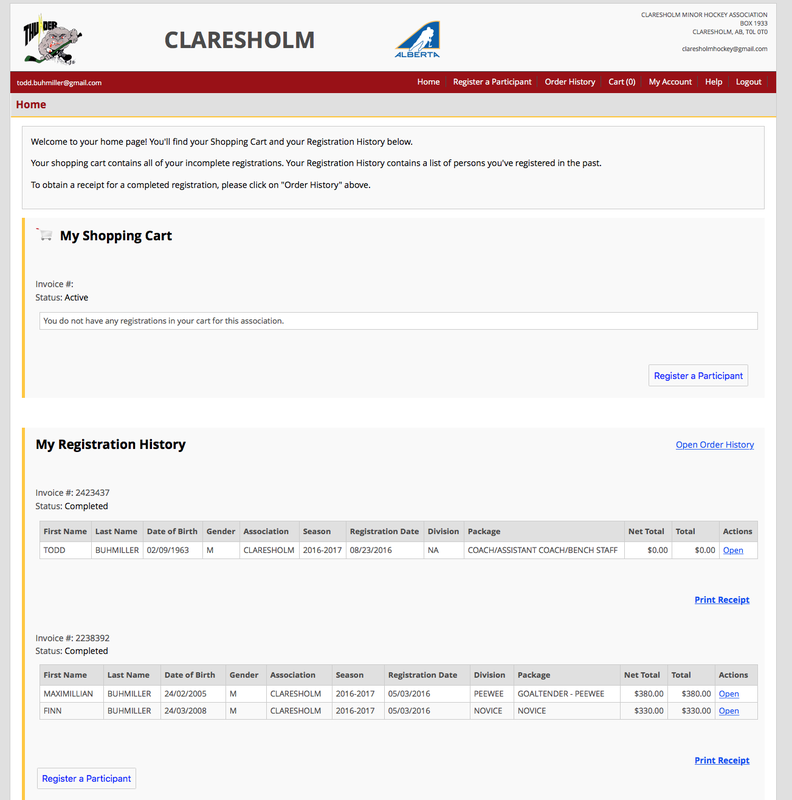 Review your registration information, and make sure it is correct. 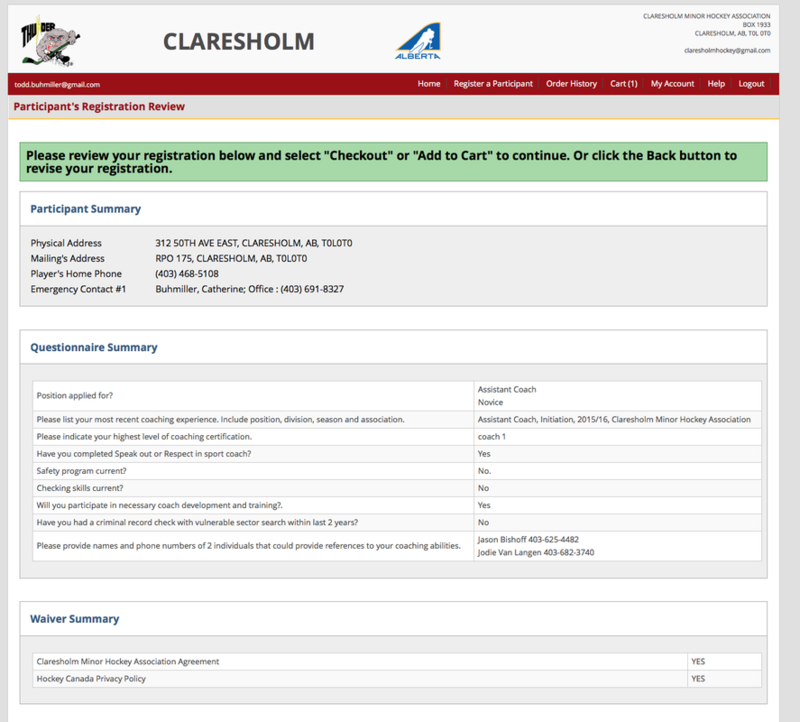 If you are finished and not going to register any kids, then press "checkout". 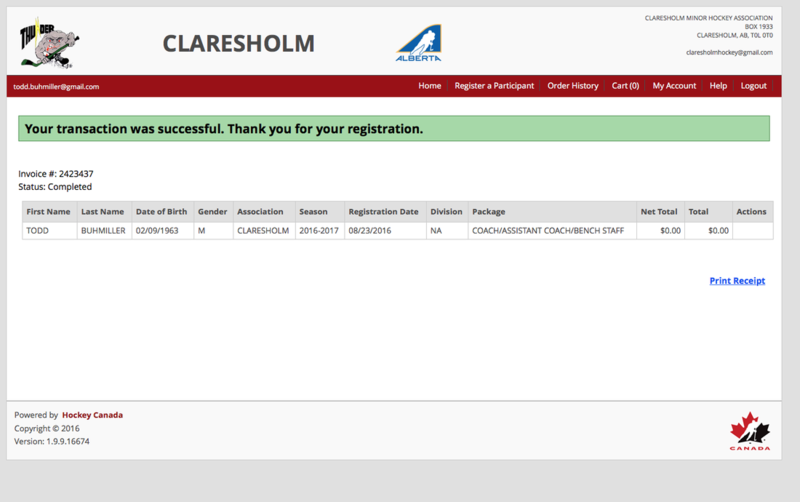 If you are going to register your kid(s), then press "Add to cart". 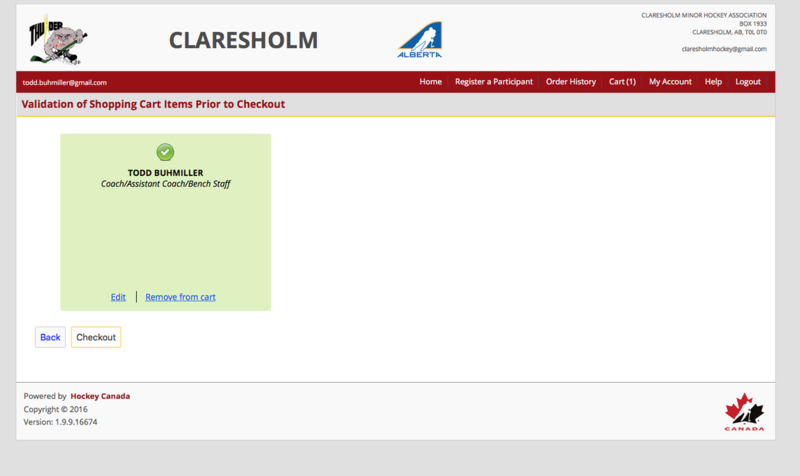 You have to Validate your cart before checkout. Basically you are confirming what you have selected. Press "Checkout"